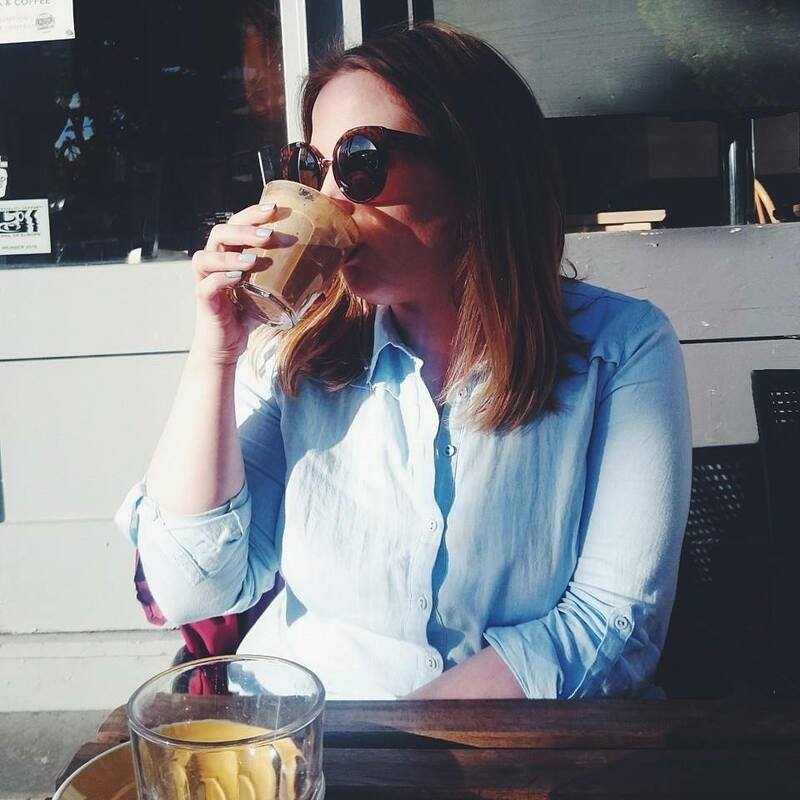 French Skincare is something I haven't really delved into apart from Bioderma because I haven't known where to start or what I'm looking for. 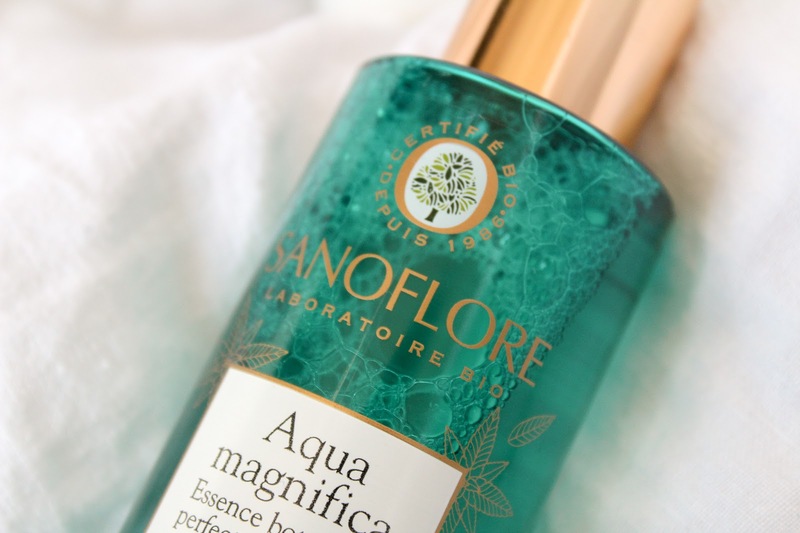 I discovered Sanoflore recently, a best selling French brand which arrived in the UK in June and so I've been trying out some of their hottest products for some time now. The certified organic brand combines the best of what nature has to offer with a modern scientific twist plus I am obsessed with that packaging. 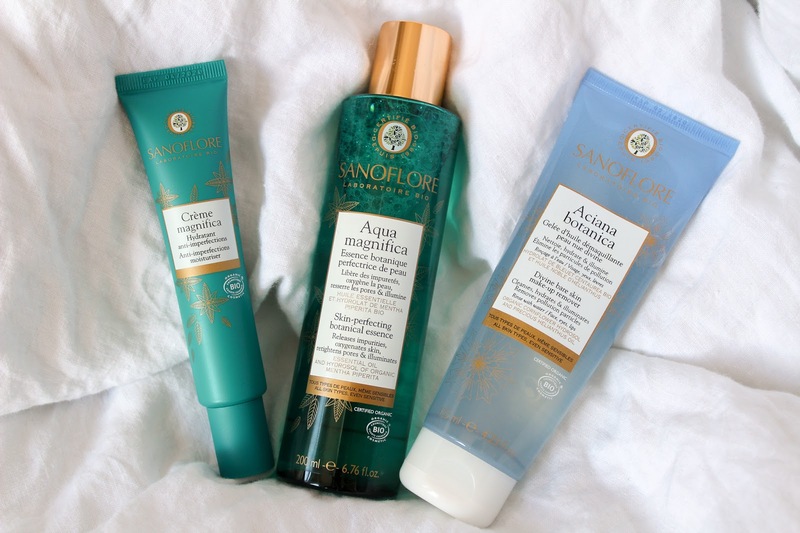 As well as the cult Aqua Magnifica Toner, I've been trying one other product from the Magnifica range which aims to reveal clearer, brighter skin and the Aciana Botanica Makeup Remover which are all crafted with 100% natural origin fragrances and beautiful textures. Born in the mountains of Vercors Massif, Sanoflore's nutrient rich organic ingredients are sourced from the perfect conditions to enable organic growth. The land has been free from pesticides for more than 45 years and is known for its purity. 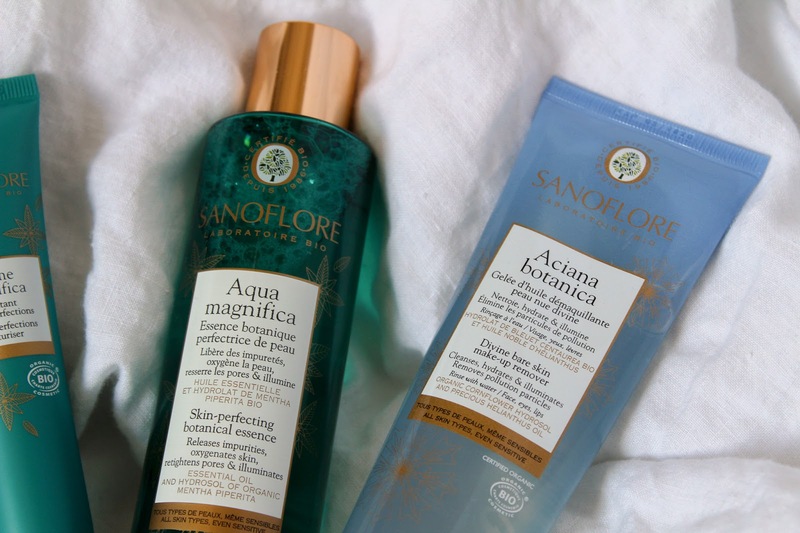 Sanoflore products effectively revive skin thanks to the power of the natural botanicals, it's just really great food for your face. There are five ranges in total and you can also shop their hero products, from organic waters to toners, oils and moisturisers. The Aciana Botanica Gelée Anti-Pollution Makeup Remover (£17.00) is one of their hero products and I can totally see why. I tend to do the same routine when it comes to my makeup removal, cream cleanser then double cleanse etc so it made a change to use an oil gel. The oil gel combines organic cornflower hydrosol from Vercors which helps soothe and decongest the skin while the sunflower oil aims to nourish. It has a lovely light consistency that melts onto skin and really works to get skin clean. I've been reaching for it so much especially during the hot weather. Another one of their hero products is the Aqua Magnifica Skin-Perfecting Botanical Essence Toner (£18.00) which contains nine essential oils combined with organic peppermint oil and floral water. It's been a life saver during the heatwave as I've been keeping mine in the fridge for cooling down hot and irritable skin from too much sweating (yummy, I know). Fab product for keeping skin cool and calm. 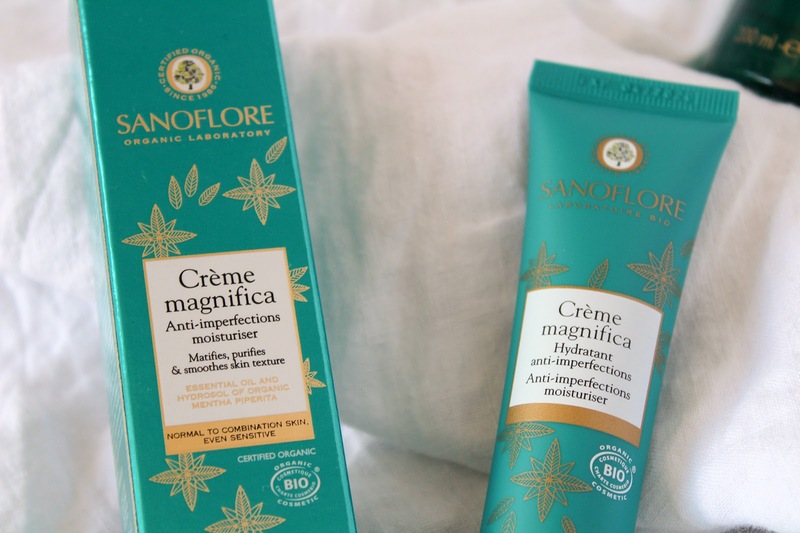 My final product is also from the Magnifica range, the Crème Magnifica Peppermint Anti-Blemish Moisturiser (£25.00) has been a great new addition to my routine and in all honesty, I didn't think I'd like this one at first. The moisturiser has a magnolia scent which I don't usually like but as this is also paired with scents of melon and peach, I really liked it. 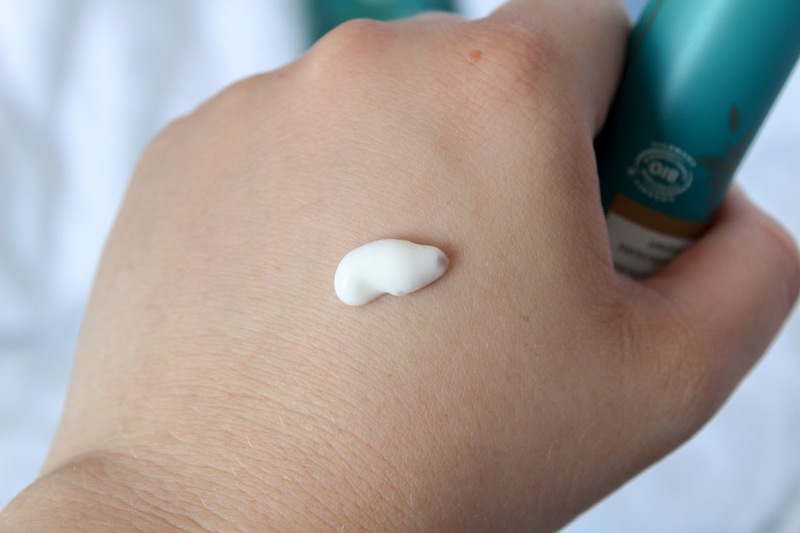 The moisturiser is mattifying which has also been great during the hot weather as it leaves skin velvety smooth which makes it much easier to apply a foundation on top. Used regularly skin is smoother and just feels so much cleaner. 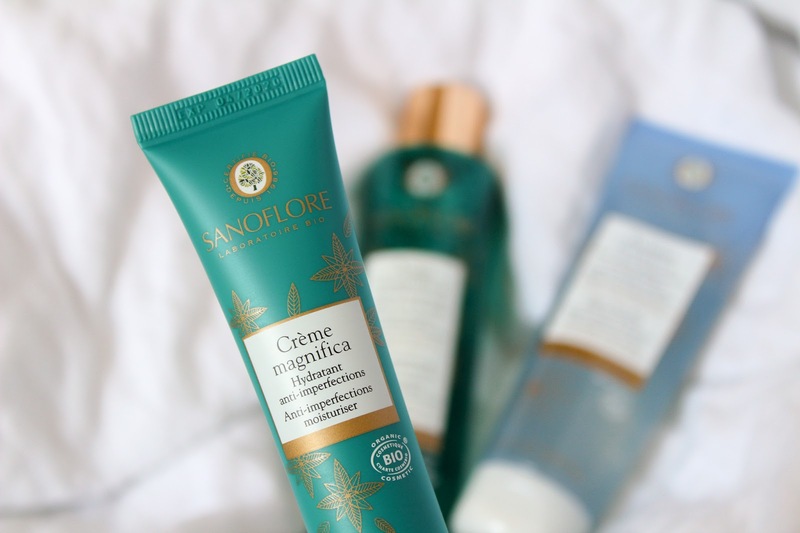 You can purchase Sanoflore from Asos, Feel Unique and Look Fantastic where you can discover more of the brand, the products and find out what would work best for you. Features press samples and affiliate links - see disclaimer. Oooooo they look so nice! 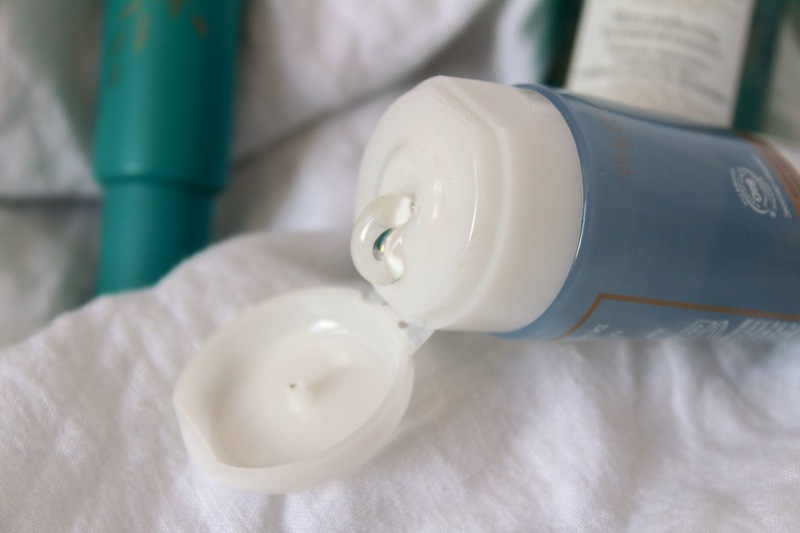 I really love the look of the anti blemish moisturiser! Not heard of this brand before but wow the packaging looks incredible! I want to try out makeup remover, it sounds heavenly!